Nature's Work - Gerard E. Thomas, O.P. Located near Ashfield, MA 01330. Serving Western Massachusetts. (413)489-1361. Do you have nagging aches & pains that just wont go away? Research shows that Stress, which causes physical and emotional tension, is linked to many forms of physical discomfort. Let Acupressure, based on 5000 years of Wisdom, help you to release tension and experience physical and mental well-being... in a truly all natural way. Are you intrigued by nature? Interested in improving wildlife habitat on your property? Want to learn more about nature's ways? Or just learn the names of the plants and trees around you? 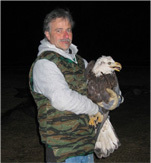 Let my 30+ years of Ecological experience increase your awareness and understanding of the natural world.